It was written by LadyAries on February 17th, 2015. 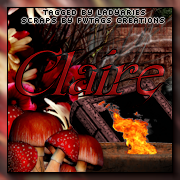 I am using the fantastic PTU kit "Bonnie" by FwTags Creations. Copy & paste paper6 into your tag. Element12 resize 75 percent-mirror, copy & paste to the left side of your tag. Element18 resize 55 percent, copy & paste to the left side of your tag. Element25 resize 25 percent, copy & paste to the left side of your tag. Element38 resize 50 percent, copy & paste to the left side of your tag. Over in your layers palette, drag this down to just above your background paper. Element34 resize 16 percent, copy & paste to the left side of your tag. Element36 resize 20 percent, copy & paste to the left side of your tag. Element25 resize 18 percent, copy & paste to the left side of your tag. Element39 resize 60 percent, copy & paste to the center of your tag. Element43 resize 20 percent, copy & paste to the left side of your tag. Over in your layers palette, drag this down to just above Element 18. Copy & paste the close up of your tube to the center of your tag & then mirror and move it to the right side. Paste your tube again in the center of your tag and move it slightly to the right. 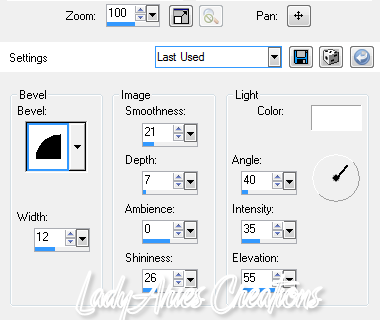 Over in your layers palette change your blend mode to screen. Merge visible and repeat steps from above for your boarder using AAA Foto Frame.